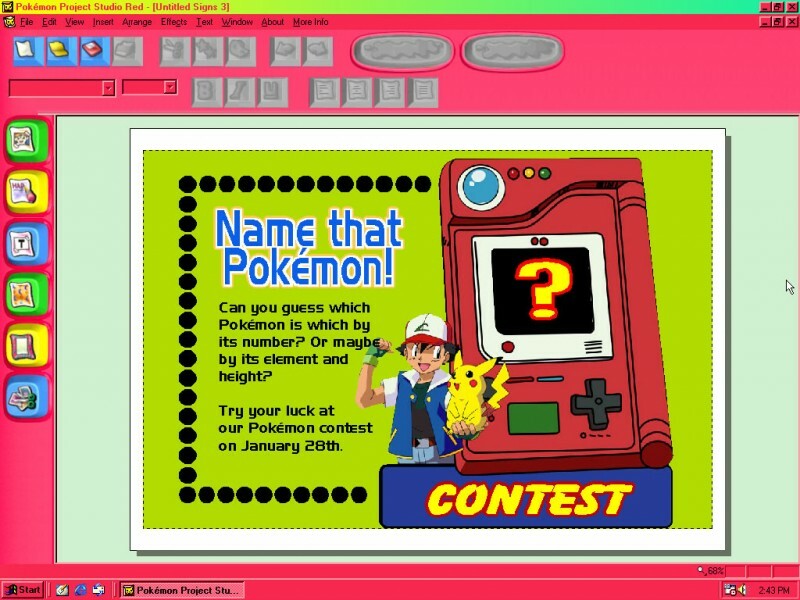 Pokemon Project studio is a PC title released on November 9th, 1999 in the USA. It was released in two versions; Red and Blue, much like the original core series games. 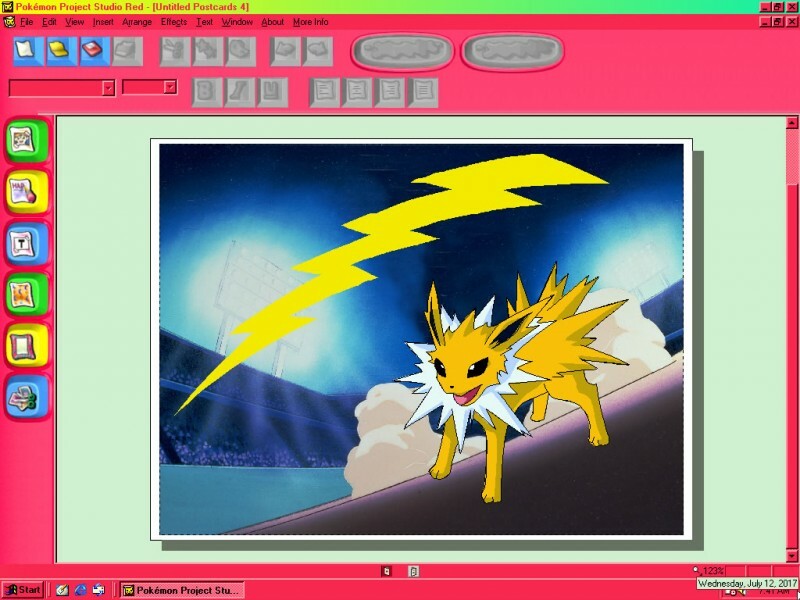 Each of the versions contains 81 Gen I Pokemon which you can use in the program as artwork to create banners, flyers, certificates, key chains and lots of other fun Poképrintables - the catch being that some Pokémon are version specific so if you want to Make 'em all, you have to buy both versions! 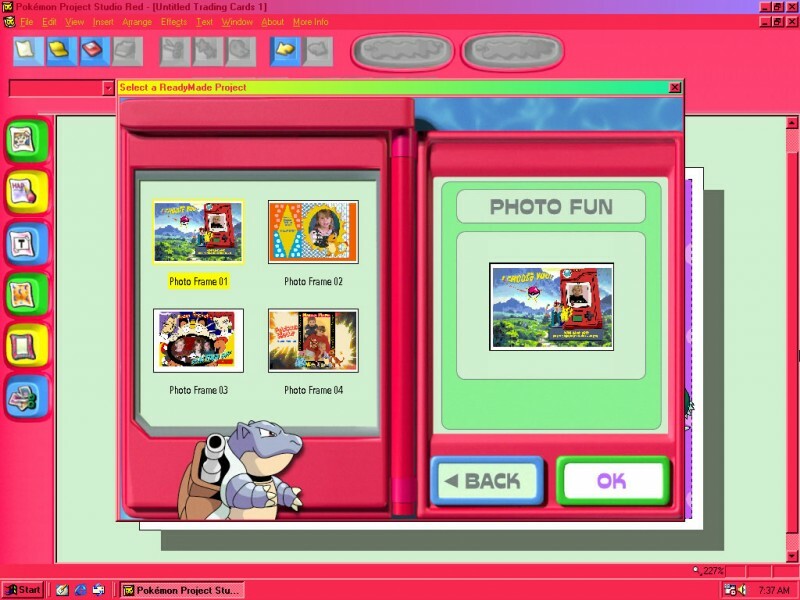 The program also includes lots of different document templates, patterns etc to make it easier for younger users to create things without any/much assistance. 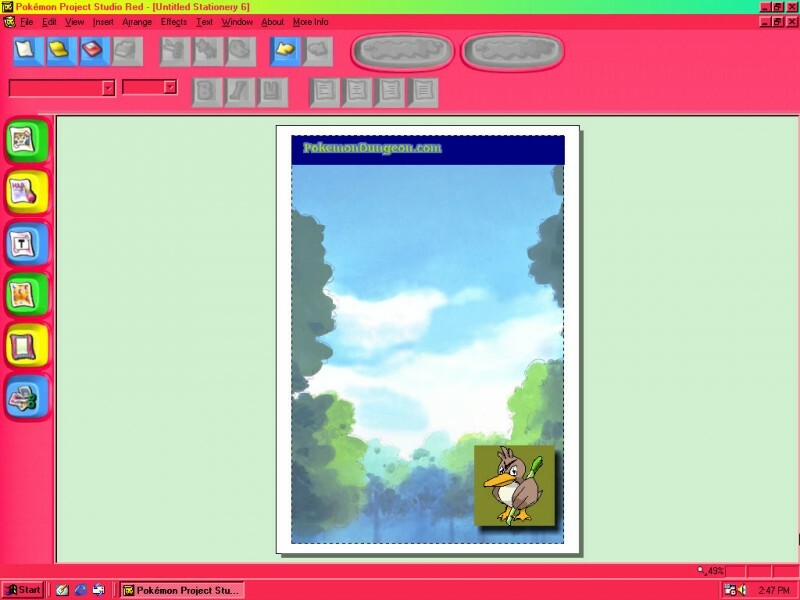 There are also some premade printables such as Pokémon character info cards which contain pictures and some basic information on Pokémon. Or you can just start projects from scratch if preferred. 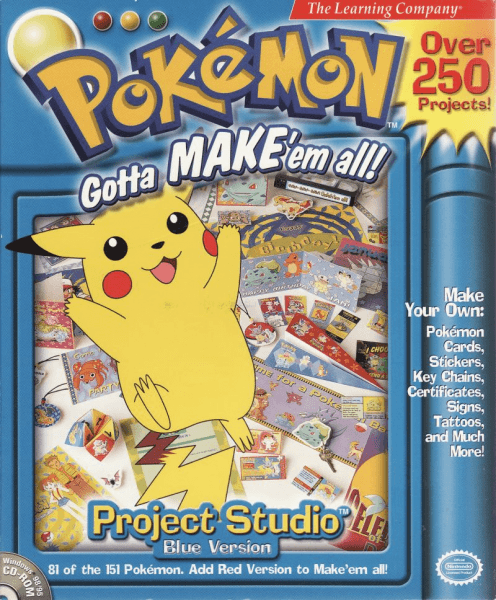 Although these titles are primarily aimed at a younger audience the editor is pretty comprehensive and offers a good range of features, so theres no reason why really old, really big kids can't enjoy making Pokecrafts too. Some time after the U.S release Mattel Interactive released these titles across Europe in English, Dutch, French, Italian and German. 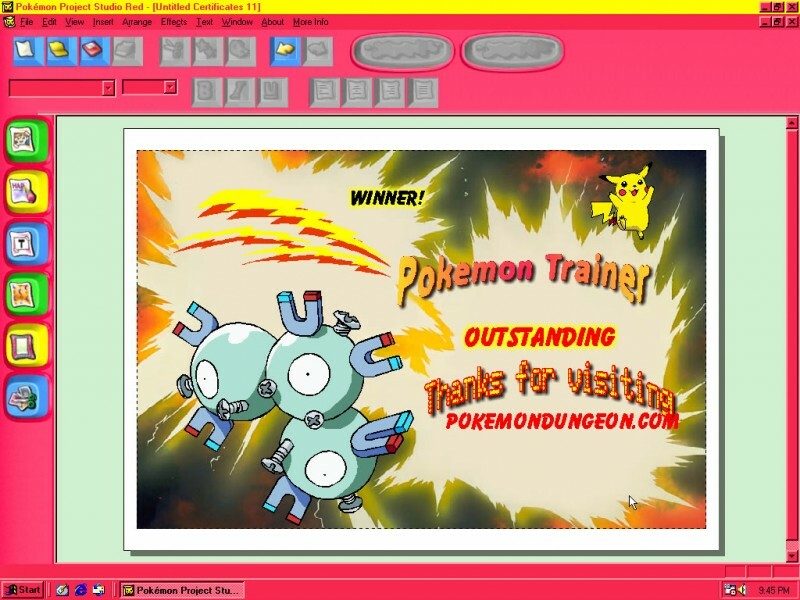 What can I make with Pokemon Project Studio? 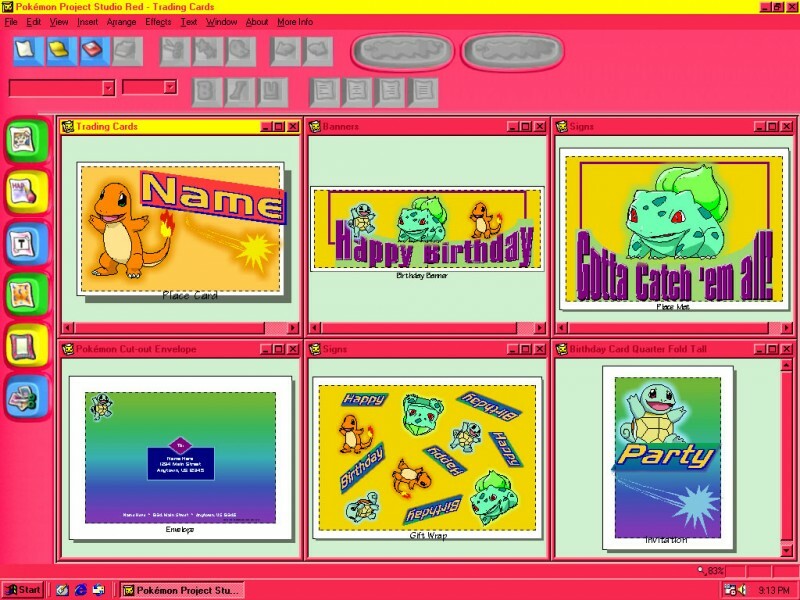 Banners: Print banners which span across multiple sheets of paper for a variety of uses from Birthdays to Halloween Celebrations (Ghost Pokemon!) to Christmas decorations, welcome home signs, yard sales and more. Limited only by your imagination. Each version contains five templated styles of birthday banner and three for other occasions. 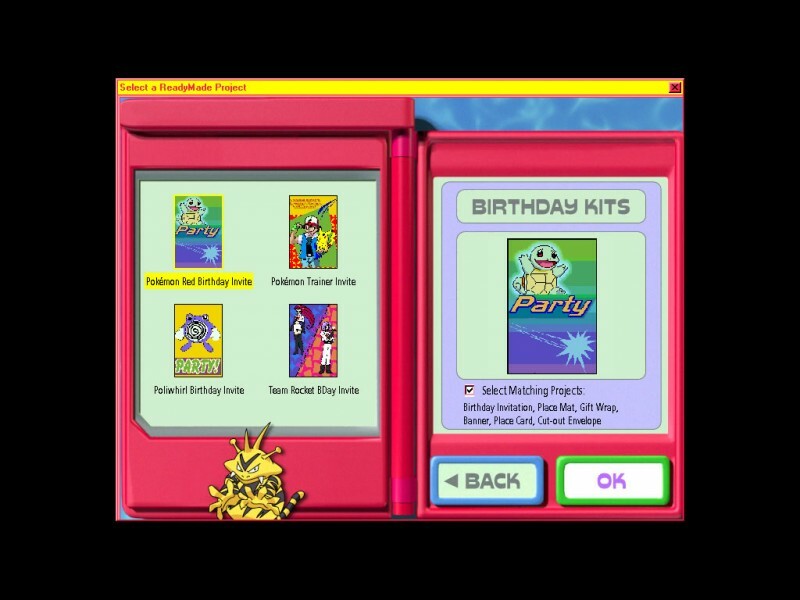 Birthday Kits: This project enables the user to print off everything you might need for a Pokemon themed birthday party including banners, thank you cards, party invitations, signs and even giftwrap. When you go into the Birthday kit you first select the party invite you'd like from four templated versions (more if you have both Red & Blue installed) and have the option to tick 'select matching projects' which will automatically open up similarly themed templates for Place Mats, Gift Wrap, Banners, Place Cards and cut out envelopes this will enable the user to keep to a theme and get everything they need done at once. 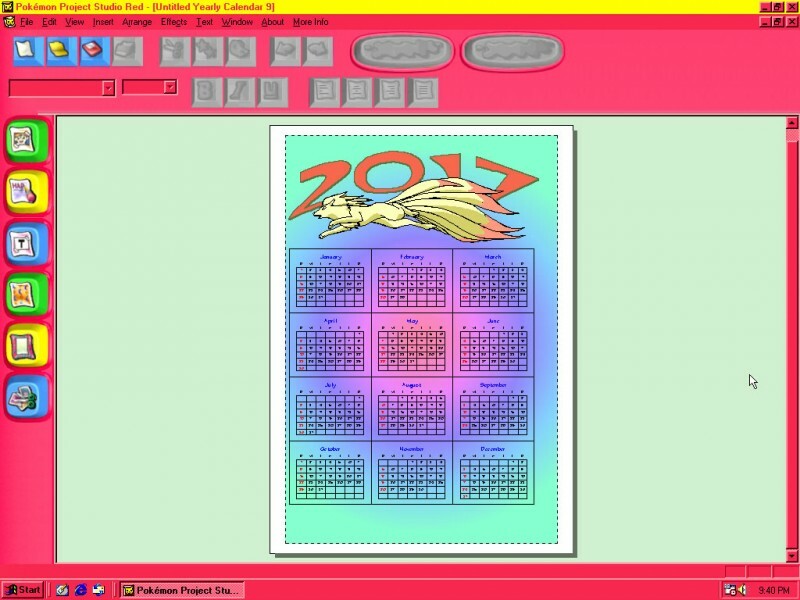 Calendars: Print off your own Pokemon calendars. You can print off a sheet for a single month to help you get organised, or an entire years calendar on one page if you're not one for detail. First choose a calendar layout format then choose a preset template, or make your own from scratch. Character Cards: Premade character cards of lots of popular Pokemon including their pictures, basic statistics and information/descriptions. 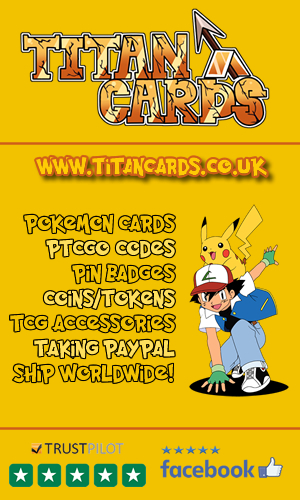 There is another category with templates that can be customised and printed as your own Pokemon Trainer ID card, used as a place tag for a table or even used as gift tags. You also have the option to start completely blank custom cards if you don't want to customise one of the existing templates. Crafts: Print off a fun variety of foldable papercrafts like masks, paper airplanes and fortune tellers. 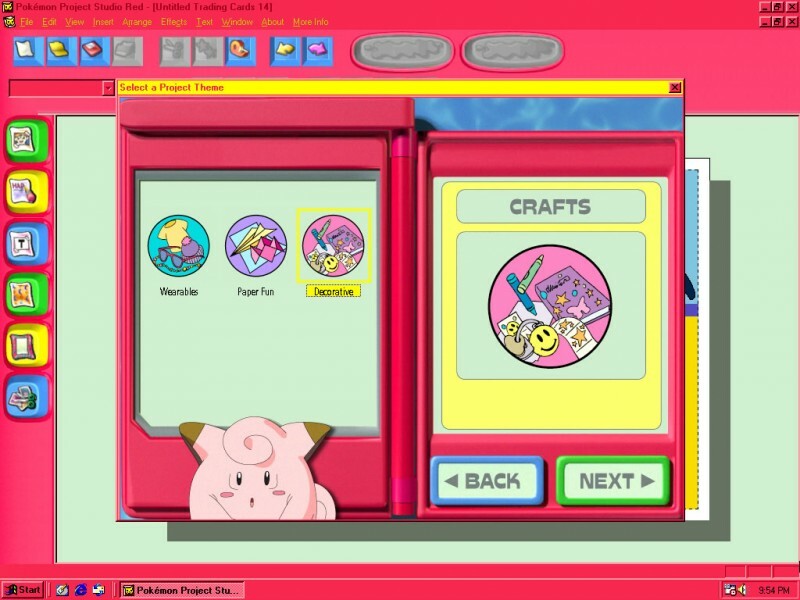 Crafts are arranged into three categories; first off we have wearables such as printable versions of all the Kanto gym badges, masks of popular Pokemon like Pikachu and Bulbasaur, necklaces and even Tattoo's. Next category is paper fun which includes customisable airplanes and fortune tellers and the final category is decoratives which includes decals and keychains. 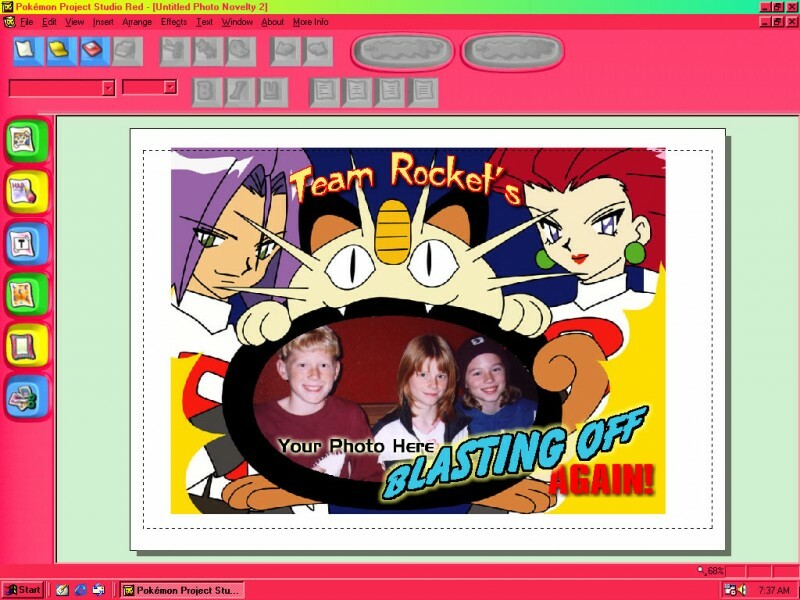 Photo Fun: Add your own photo's and add Pokemon and Character art as well as choosing from a selection of frames etc. 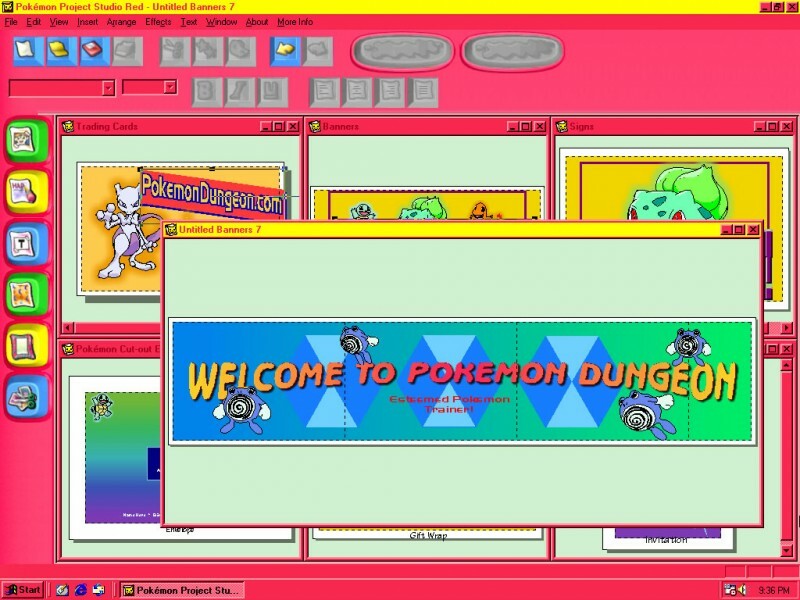 Not dissimilar to the photo editing feature in Camp Pokemon. There are two categories; quick prints which enable you to print multiple different sized versions of your photo on one sheet, or frames which enables you to choose templated frames and replace their stock photo quickly and easily with your own. Postcards: Print off postcards either on normal paper or use special postcard card if you really want to push the boat out! 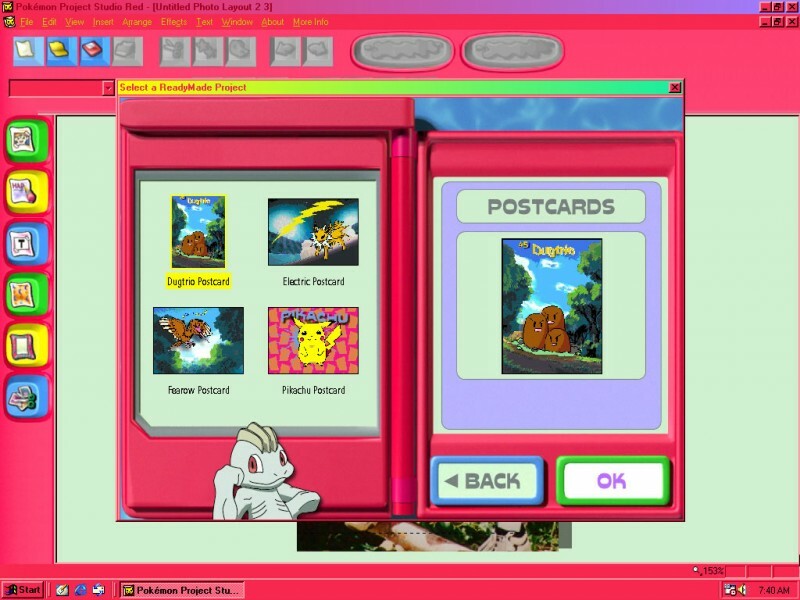 Pokemon themed postcards can either simply be collected or can be mailed out. 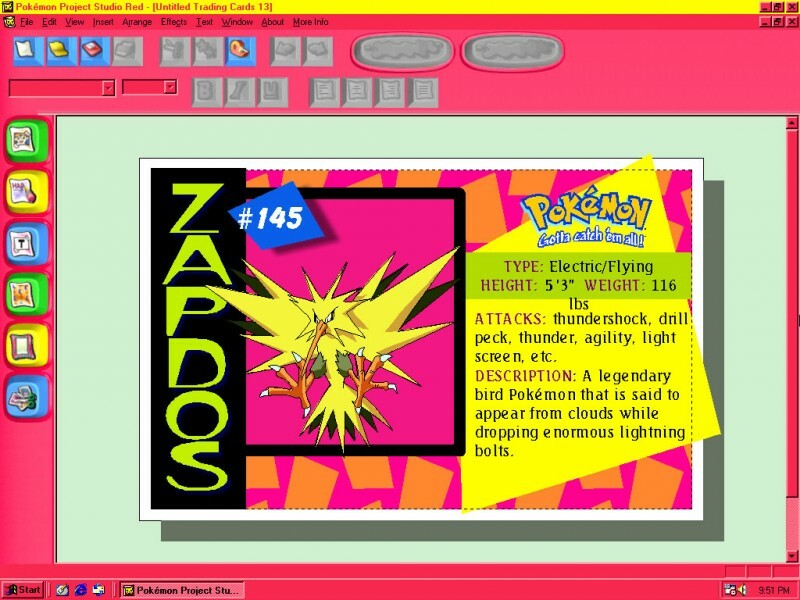 You get two categories of templates to choose from in this section firstly the Announcement postcards to proclaim important things like 'I want to be the best there ever was' or alternatively there are character postcards which simply feature colourful Pokemon designs for your to customise, just because. Signs: Like banners, but they use only a single sheet. Templated signs are available in four different categories; Birthday signs, Event signs such as Car Wash, Summer Partyand contests, Information signs such as door hangers saying DND or Keep out and reminders like Don't forget your books, Don't forget your vitamins and Sale signs for things like yard sales and lemonade stalls. 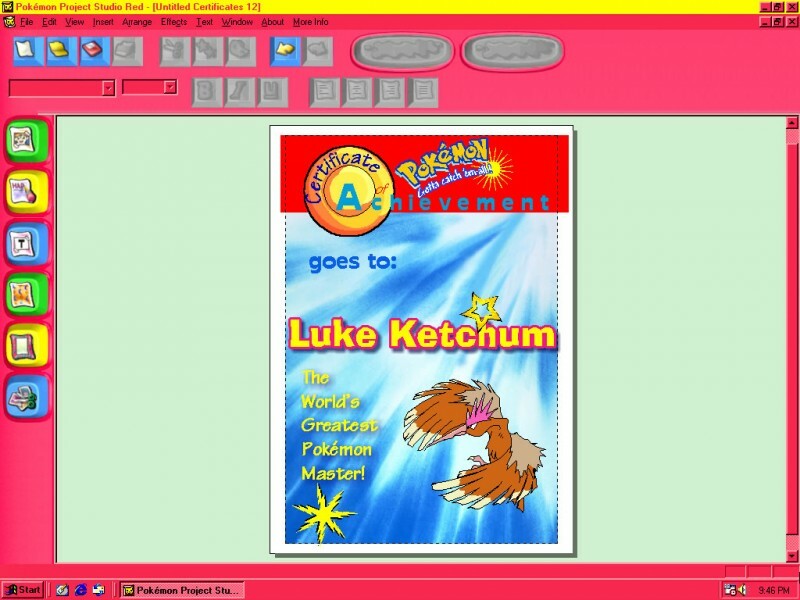 Stationery: Print your own Pokemon themed letterheads and hand write a letter, diary entry etc or alternatively type onto the template from within Project Studio and print the letter directly from the program! 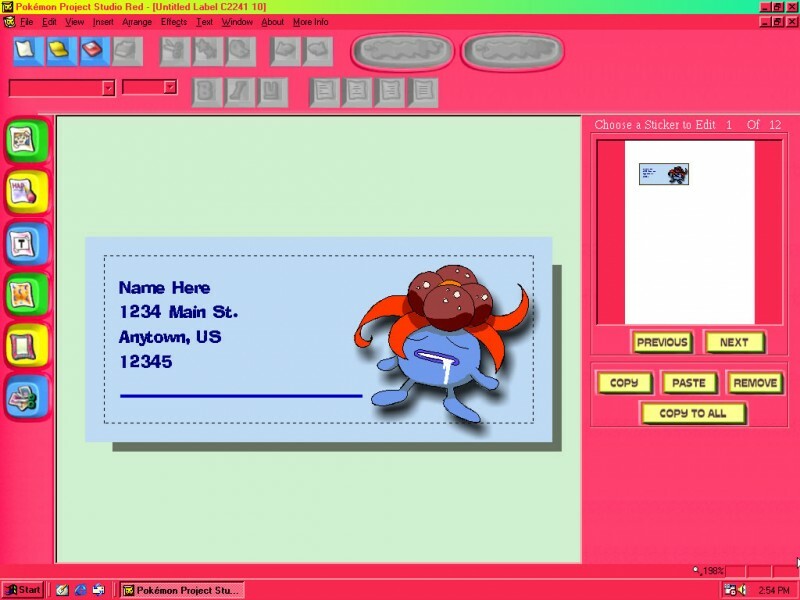 You can also print your own Pokemon themed envelopes to go with them. Stationery is categorised by Diary Pages and Letterheads, when selecting a letterhead you have the option to select matching projects such as stationery and business envelope. Each category contains four options, or if you have both versions of PPS installed there will be eight in each. 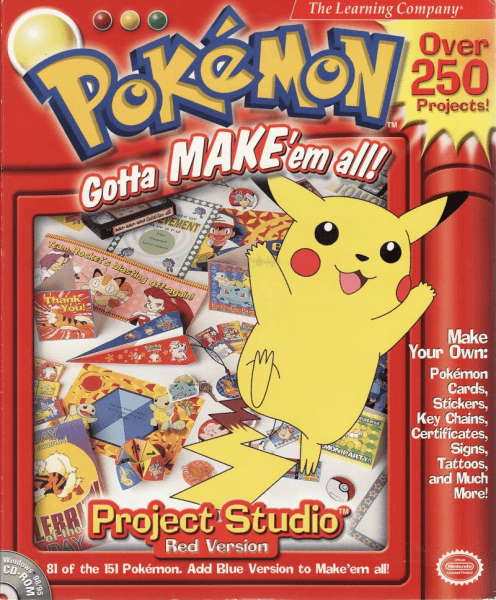 Stickers: Using specially sized Avery sticker paper the user could create their own stickers featuring their favourite Pokemon and characters. You can create your stickers from scratch or use the templates provided. Various sizes of general stickers are available in the templates as well as some specially sized to fit on video tapes fronts and spines (video tapes?!). After you select the label size you get to choose from four templates for that size sticker. Other projects of note include bracelets, door hangers, key chains, necklaces, photo albums, photo frames, tattoos and window decals. Which Pokémon are in each version? As you will see from the tables below the split is quite tactical for example where the Red version has the Weedle evo chain, Blue has the Caterpie evo chain likewise Red takes the Nidoqueen chain and Blue takes the Nidoking chain - they've even tactically split up Jessie and James' Pokemon Red taking Ekans, Arbok and Likitung and Blue taking Koffing, Weezing, Weepinbell and Victreebel. 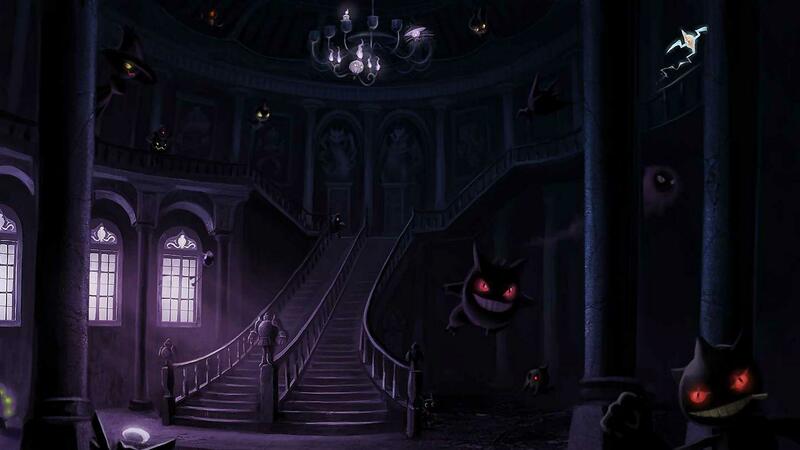 The different versions also feature different artworks of human characters from the world of Pokémon such as Professor Oak, Ash, Misty and Brock. Naturally as a master of the ghost type I had to vote for the Blue version but it is a pretty close call. 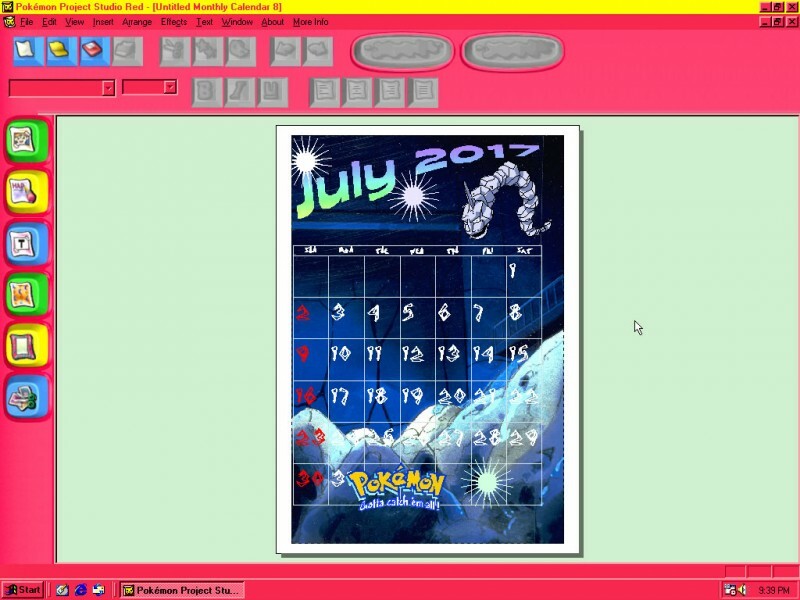 When you load Pokemon Project Studio Red the windows desktop theme will become red, likewise when you load Blue it will become Blue. 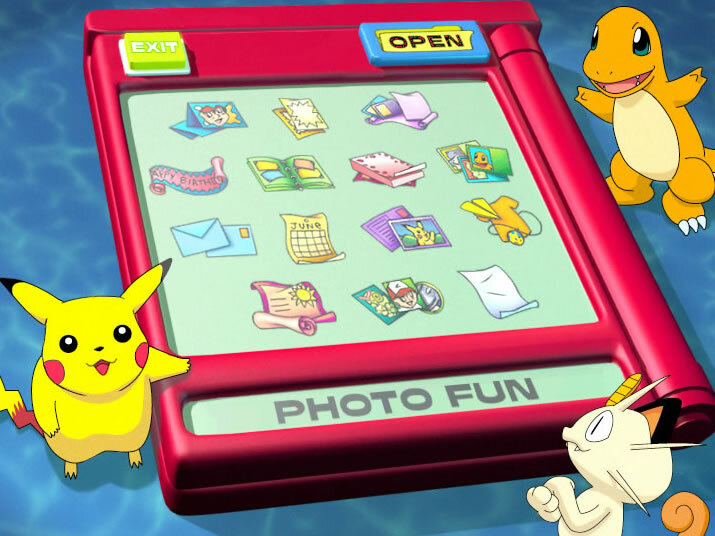 In both titles Mew is found in the 'stuff' category with gym badges and misc items, and is not categorised alongside his fellow Pokemon. Poor Mew.